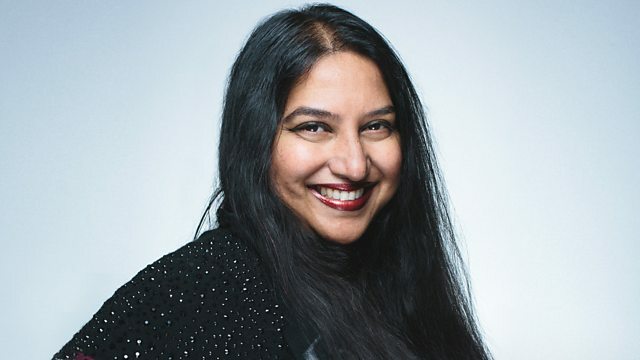 BBC Asian Network - Ashanti Omkar, The 200th Show! Ashanti Omkar celebrates her 200th episode with a special show, reflecting on the music that made her. Ashanti Omkar celebrates her 200th episode with a special show, where she reflects on her "Life Songs" - the ones which evoke memories, the ones she turns to, to look back, look forward, and those that defined pivotal life moments like heartbreak and joy. She takes us on a journey through her eclectic tastes in music, and the tunes that have stayed with her though the ebbs and flows of her sojourn as a Tamil, born in Sri Lanka, and raised in Denmark and Nigeria, before finally settling in England, in the eighties.